* The newest addition to the Paasche Airbrush line is the gravity feed “Talon”. 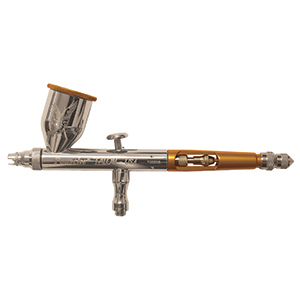 * The Talon was designed to be our high end airbrush and will deliver the highest level of detail and control. * The trigger and air valve have been redesigned to allow for a smoother stroke as well as ease of assembly and durability.